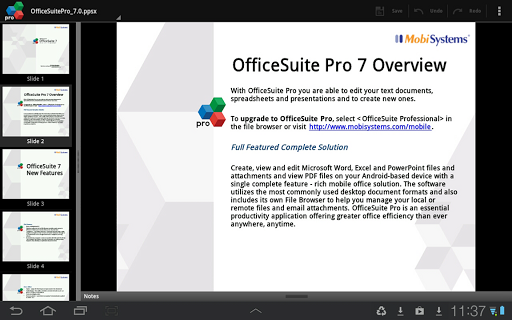 Made by MobiSystems, OfficeSuite Pro allows you to view, create, edit, print and share Word, Excel and PowerPoint files on the go. You can also open attachments and see PDF files on an Android based phone or tablet with our feature-rich mobile office solution. 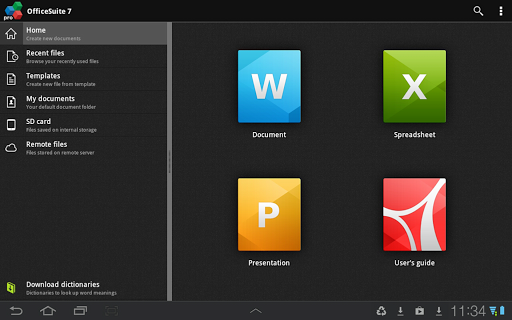 QuickSpell – fully integrated with OfficeSuite Pro QuickSpell will help you dramatically improve your typing accuracy. Font Pack – allows you to use Microsoft most used fonts in OfficeSuite text documents. Note that OfficeSuite Extensions are sold separately. Purchasing any of the extensions is optional.